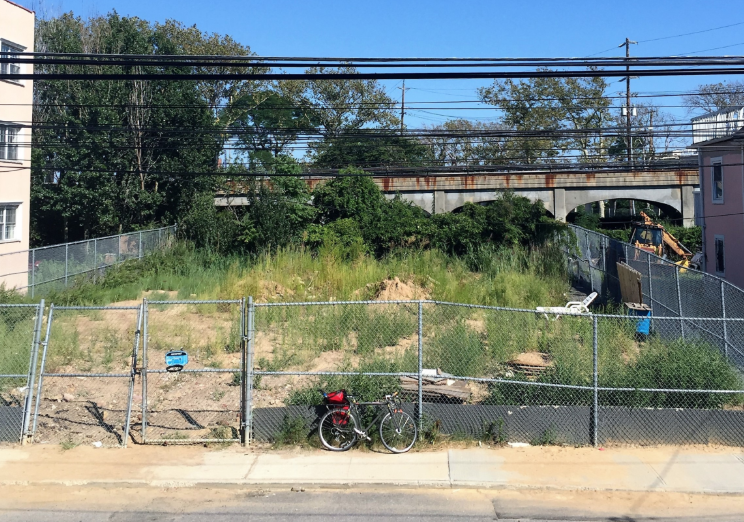 Last week, in humid 90 degree weather, Sam and I rode our bicycles through the Bronx, groundtruthing parks that might have buildings in need of advocacy. One of our stops was Poe Park, on Grand Concourse. 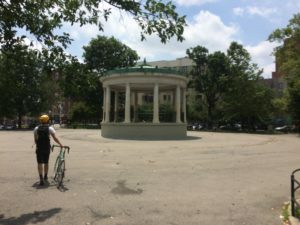 In addition to trees and benches where residents could seek a shady escape from the summer heat, the park hosts three buildings: Poe Cottage, built in 1812; a gazebo known as the Poe Park Bandshell, constructed in 1925 (https://livinglotsnyc.org/lot/59324/); and a Visitor Center opened in 2011. At Poe Cottage, where Edgar Allen Poe lived from 1846 until he died in Baltimore in 51849, folks can see the living quarters and a statue of the poet. A capital project tells us that restoration work is being done on the exterior pathways. While open on other days for tours, when we visited a large lock kept us at a distance from the place where Poe spent his last years. The recently built Visitor’s Center is, physically, a sharp contrast. The contemporary design is reminiscent of Poe’s Raven with it’s sleek, wing-like v-shaped roof and feathery, slate tiled siding. Open and welcoming, we refilled our water bottles and engaged the friendly staff, who enthusiastically showed us the Poe-inspired art gallery and the busy schedule of art-making, fitness, and cultural programming. After hearing from them some of the historic ailes the neighborhood has faced, I could sense what a necessary space this park has been for the health of the community. Yet it was the third structure that attracted my attention the most. The active playground and the Visitor’s Center were both in active use; Poe Cottage is certainly maintained and used, even if that use is restricted to only three days a week. The Poe Park Bandshell stood empty. The towering gazebo, with soaring pillars and a patinaed roof, was locked by a black iron gate, standing as an island in a sea of hot pavement. Photo by author. Lot page at https://livinglotsnyc.org/lot/59324/. We learned from the staff that the bandstand is closed due to dangerous structural issues. 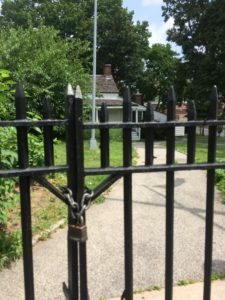 Through my research, I could find no mention of public plans to restore the Bandshell, although as noted earlier there are plans to reconstruct paths to Poe Cottage, which although owned by the Park is operated by the Bronx County Historical Society. The historic value of Poe Cottage is well documented; it reminds us that only two centuries ago, this was farmland, not the urban landscape we see today. Yet the bandstand itself is a powerful symbol of the neighborhood with many stories of its own. The bandstand was erected in 1925, and classical music concerts drew large crowds. In the 1940s, it hosted big band performances, and it is reported that Rosemary Clooney, famous singer and actress, made her public debut here. According to the Parks Department website, the park was a “popular locale for outdoor music concerts” and “a hub of the community’s social life”. 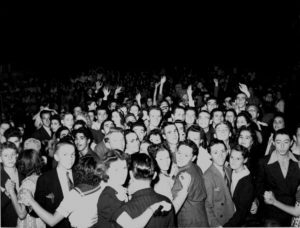 Concerts, dance contests, and fashion shows were regular occurrences from the 1940s into the 1970s. Poodle skirts and the Lindy Hop were replaced by bell bottoms, Soul, and Funk music, which was in turn replaced by Hip-Hop dance battles; the Poe Park bandstand hosted it all. 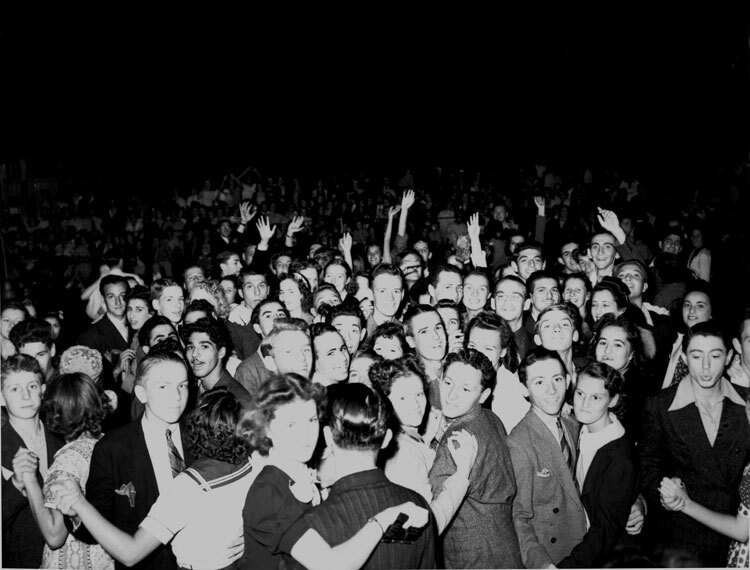 Dance Contest at Poe Park, Sep 4, 1938. Photo from NYC Parks Department website. 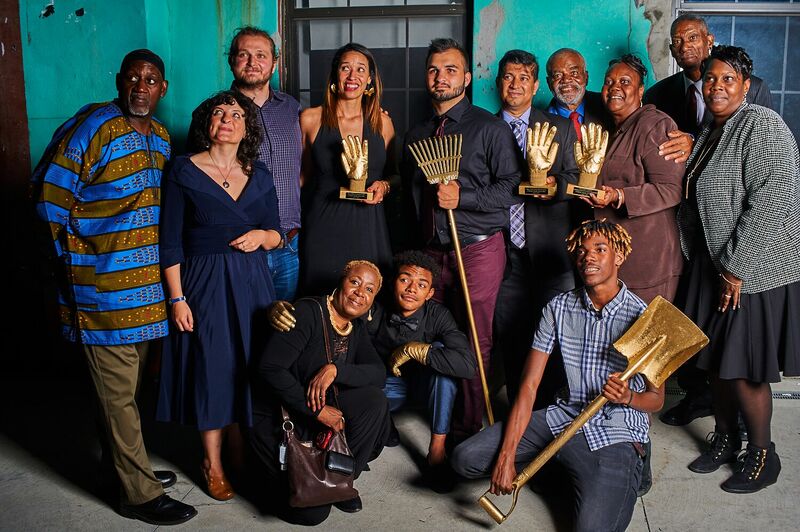 At an event put on by the 5 Boro Story Project in 2014 called “Back in the Day at Poe Park: A Bronx Storytelling and Music Festival,” many residents shared their memories of Poe Park and the neighborhood of Fordham. (You can find some incredible video documentation on YouTube.) Of those telling stories was Lucy Aponte, who not only roller skated at Poe Park and attended concerts at the bandshell herself as a little girl, but got to know her children’s peers at the Hip-Hop battles; kids who grew up to become the now famous B-Boys from Rock Steady Crew, like Crazy Legs and Fable. I’m grateful that Lucy, a tireless advocate for art and community who was named NYC Parks Employee of the Year in 2014, is managing the programming at the Poe Visitor’s Center. I hope we soon see the Bandshell, which served as a social hub at this park for so long, renovated and repaired for the benefit of Bronx residents. This public treasure is symbolic of a vibrant and resilient community, and should be protected and restored to serve it. Want to organize with your neighbors for the future of the Poe Park Bandshell? Sign up to Organize here at https://livinglotsnyc.org/lot/59324/! 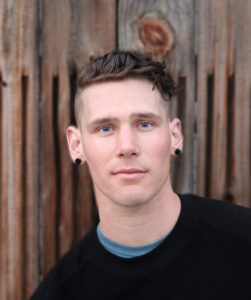 Tim is a designer and aspiring urbanist from Oakland, California. He is passionate about making equitable and resilient communities. He also creates interactive sculpture, builds scenery for theatre and film, and writes. He is a graduate student in Theories of Urban Practice at Parsons, The New School. Intern Insights is a series of blog posts from 596 Acres’ 2017 summer interns! 11 Community Land Access Success Stories from 2017!